They represent the highest level of technical achievement within the company – the cream of the computing crop. An elite group of individuals these Intel Senior Fellows are, and when Intel claims a leadership role in innovation and technology, their contributions are often cited as the foundation. When Intel announced the first inductees in 2002, four men were immediately elevated from the rank of Intel Fellow, a role that was established in 1980, to charter membership in a club reserved exclusively for Intel’s most senior and influential technical minds. There have only been a dozen Senior Fellows at Intel since the original four, two of whom have retired in recent years. Mark Bohr, director of process architecture and integration. Mark Bohr, director of process architecture and integration, and Justin Rattner, vice president, Intel Labs director and chief technology officer, still wear an Intel ID badge from the founding four, which also included Peter McWilliams and Richard Wirt. They are joined by just six others who currently hang their hats within Intel Labs and the Technology and Manufacturing, Intel Architecture, and Software and Services groups. For Rattner, the honor of being part of that first group of Senior Fellows was heightened by its impact to others present and future duly recognized for their technical leadership and outstanding contributions to the company and industry. Rattner being a vice president emphasizes his point. When he was made a corporate officer in 2007, Rattner followed Wirt as the second Senior Fellow to earn such a promotion. 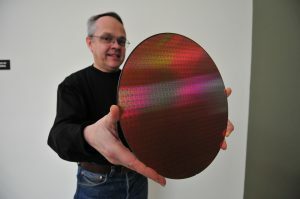 “I’m the first to admit that it’s a bit non-Euclidean, but the dual appointment serves to recognize those individuals who are both top technologists as well as senior managers,” said Rattner, whose accomplishments include an instrumental role in developing the first computer to sustain 1 trillion operations per second, or what’s better known in the technical community as a teraFLOPS. Because Senior Fellows come out of the pool of Fellows, such promotions are more common than a Senior Fellow becoming a vice president. When a higher level of Fellow was bandied about 10 years ago, Bohr, for one, wasn’t entirely comfortable with the concept. In that spirit, Bohr gave props to those who helped him achieve the ultimate technical honor within Intel. “I got to this position only because I work with a team of very bright engineers in the Logic Technology Development group,” said Bohr, who considers himself “lucky” to have been involved in some breakthrough projects over his career. Bohr ranks the 45nm high-k metal gate transistor project at or near the top. 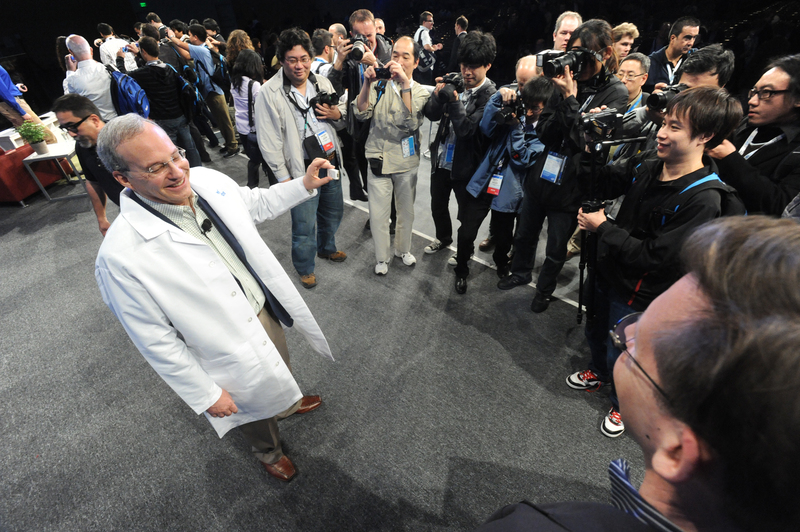 Justin Rattner, vice president, Intel Labs director and chief technology officer. As with Fellows, selection of Senior Fellows is an annual process. It starts with the chief executive officer sending a call for nominations and business units identifying a short list of nominees who, in their opinion, have had extraordinary impact within the company and the industry. Vetting is done by a committee of current Senior Fellows and technical vice presidents, and top Intel management meets to assess the strategic impact of the nominees. The CEO, currently Paul Otellini, makes the final decision. The most recent Senior Fellow inductee is Bryant Bigbee, director of systems software in the Software and Services Group, who in 2007 became the 12th bestowed with the honor. Recognized for his work designing and gaining support for Intel CPU features in Microsoft Windows from the Pentium processor through Intel Core, Bigbee said being the most recent Senior Fellow named makes it all that more special. A 3-year-long absence of new Senior Fellows could end when corporate promotions are announced closer to spring. At present, however, club membership remains at the same number as humans who have walked on the moon — an even dozen — in what is now the 10th year of the Senior Fellows program’s existence. This exclusivity sits well with the one VP in the group.